A brand new year is just around the corner. Are you prepared to make the most of the 365 days it offers? We’ve collected advice from around the web and compiled it here for your consideration as you finalize plans for 2014. 1. Review your 2013 goals. Which ones did you meet? Which ones did you fail to meet despite your best intentions? What will you carry over to 2014, and what will you leave behind? Set action-based goals for the new year, assigning start-by and finish-by dates to each of them. 2. What needs updating in 2014? Will you take a class on technological advancements that impact your business? Are there product or software upgrades to purchase? Incorporate the most important updates in your budget. 3. Review your website. Is it attractive, quick-to-load, mobile-friendly and effective at engaging your target audience and supporting your business goals? If not, what is your plan for revising it in the coming year? Do you have the staff and resources in house, or will you need to hire a vendor to assist you? The Page Progressive team welcomes the opportunity to help you get more mileage from your online presence. Give us a call. 4. Do you have tools in place to analyze the effectiveness of your online marketing efforts? A variety of tracking and analytics programs are available, many free or reasonably priced, to help you determine where your business is thriving and where it is not. Need a recommendation of the best tracking tools for your business? Give Raleigh’s Page Progressive a call. We will be happy to help you. 5. Are there areas where you need to break ‘out of the box’ in 2014? Applying some creative thinking may be just the ticket to success for your business. Tap the creativity of your team. Schedule a weekly or monthly brainstorming meeting to build a list of ideas, then make a plan to follow through on the most promising ones. Look for ways to make your business stand out from your competitors. What lessons have you learned in the past few months, and how can you apply what you learned? 6. Have you engaged the power of community to promote your business? If not, plan now to do so in 2014 and reap the benefits. Volunteer for or sponsor a community event, host a tour of your facility, or speak at a lunch-and-learn. Participate in online forums such as LinkedIn groups and Google Plus circles where you can contribute your expertise. You’ll gain awareness and build good-will for your business. 7. Does your email marketing campaign stand out? Most people receive an average of 20 promotional emails per day. To improve your open-rate, use an engaging subject line and a clean design that is quick and easy to read. Make it mobile-friendly for smart-phone and tablet users, and incorporate a clear call-to-action. 8. Are you providing valuable content on your social media platforms and website? Do you respond to posted comments? Do you consider client suggestions and implement them when possible, giving credit to the suggester? 9. Do you keep your readers and prospects engaged by providing the relevant content they need at each stage of the buying process? Lead Nurturing is defined as communicating consistent and meaningful touches with viable prospects regardless of their timing to buy. According to research by smallbusiness.yahoo.com, 70 percent of business buyers stated they wanted different content at each phase in their research. Does your marketing content explain how your product/service makes the customer’s job or life easier and clearly state what differentiates your business from competitors? 10. Are your past mistakes keeping you from potential future success? Make 2014 the year you leave your doubts behind. Lewis Howes of Entreprenuer.com says, “The more confident you are, the less doubt you will have and the more likely your success will be.” Apply what you have learned from the past and its failures to help you build a better future. 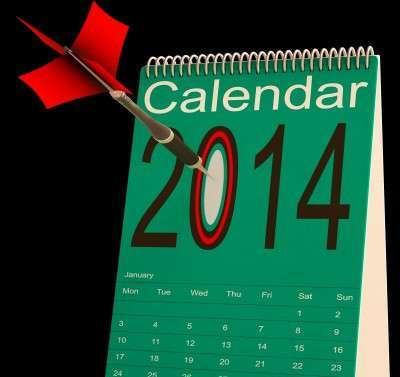 Assessing where you are now and planning where you want to go in 2014 provides the foundation for a productive year. The Page Progressive online marketing team is available to partner with you in promoting your business. Please contact us to learn more. We wish you much success in the coming new year.